What is the difference between a Hadoop database and Relational Database? 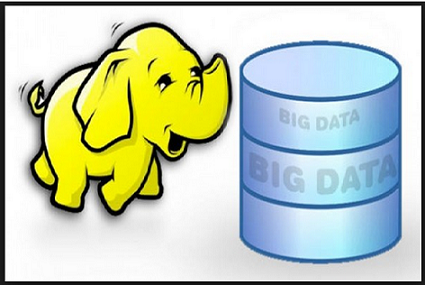 Hadoop is not a database, it is an architecture with a filesystem called HDFS. The data is stored in HDFS which does not have any predefined containers. Relational database stores data in predefined containers. Stands for Hadoop Distributed File System. It uses a framework involving many machines which stores large amounts of data in files over a Hadoop cluster. Map Reduce is a set of programs used to access and manipulate large data sets over a Hadoop cluster. What is the InputSplit in map reduce software? An inputsplit is the slice of data to be processed by a single Mapper. It generally is of the block size which is stored on the datanode. Replication factor defines the number of times a given data block is stored in the cluster. The default replication factor is 3. This also means that you need to have 3times the amount of storage needed to store the data. Each file is split into data blocks and spread across the cluster. what is the default replication factor in HDFS? The default hadoop comes with 3 replication factor. You can set the replication level individually for each file in HDFS. In addition to fault tolerance having replicas allow jobs that consume the same data to be run in parallel. Also if there are replicas of the data hadoop can attempt to run multiple copies of the same task and take which ever finishes first. This is useful if for some reason a box is being slow. Most Hadoop administrators set the default replication factor for their files to be three. The main assumption here is that if you keep three copies of the data, your data is safe. this to be true in the big clusters that we manage and operate. In addition to fault tolerance having replicas allow jobs that consume the same data to be run in parallel. Also if there are replicas of the data hadoop can attempt to run multiple copies of the same task and take which ever finishes first. This is useful if for some reason a box is being slow. what is the typical block size of an HDFS block? Default blocksize is 64mb. But 128mb is typical. Name node is one of the daemon that runs in Master node and holds the meta info where particular chunk of data (ie. data node ) resides.Based on meta info maps the incoming job to corresponding data node. 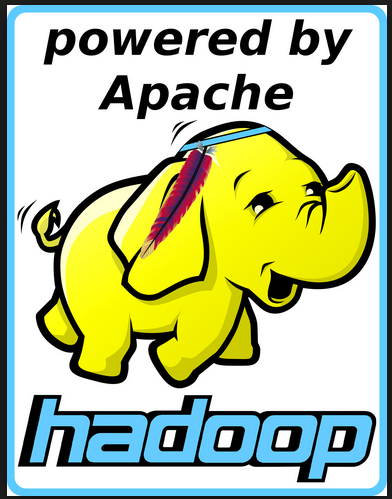 How does master slave architecture in the Hadoop? Totally 5 daemons run in Hadoop Master-slave architecture . But its recommended to run Secondary name node in a separate machine which have Master node capacity. What is compute and Storage nodes? Name Node holds Meta info and Data holds exact data and its MR program. Explain how input and output data format of the Hadoop framework? How can we control particular key should go in a specific reducer? By using a custom partitioner. What is the Reducer used for? Reducer is used to combine the multiple outputs of mapper to one. What are the primary phases of the Reducer? Reducer has 3 primary phases: shuffle, sort and reduce. What happens if number of reducers are 0? How many instances of JobTracker can run on a Hadoop Cluser? One. There can only be one JobTracker in the cluster. This can be run on the same machine running the NameNode. Through checksums. every data has a record followed by a checksum. if checksum doesnot match with the original then it reports an data corrupted error. can be given as zero. So, the mapper output is an finalised output and stores in HDFS. Which method of the FileSystem object is used for reading a file in HDFS in Hadoop? The switch given to “hadoop fs” command for detailed help ? The size of block in HDFS in hadoop? Which MapReduce phase is theoretically able to utilize features of the underlying file system in order to optimize parallel execution in Hadoop? What is the input to the Reduce function in Hadoop? A. One key and a list of all values associated with that key. B. One key and a list of some values associated with that key. C. An arbitrarily sized list of key/value pairs. How can a distributed filesystem such as HDFS provide opportunities for optimization of a MapReduce operation? A. Data represented in a distributed filesystem is already sorted. B. Distributed filesystems must always be resident in memory, which is much faster than disk. C. Data storage and processing can be co-located on the same node, so that most input data relevant to Map or Reduce will be present on local disks or cache. D. A distributed filesystem makes random access faster because of the presence of a dedicated node serving file metadata. Which of the following MapReduce execution frameworks focus on execution in shared-memory environments? What is the implementation language of the Hadoop MapReduce framework? The Combine stage, if present, must perform the same aggregation operation as Reduce ? Which MapReduce stage serves as a barrier, where all previous stages must be completed before it may proceed? Which TACC resource has support for Hadoop MapReduce? Which of the following scenarios makes HDFS unavailable in Hadoop? Which TACC resource has support for Hadoop MapReduce in Hadoop? Which MapReduce stage serves as a barrier, where all previous stages must be completed before it may proceed in Hadoop? You are running a Hadoop cluster with all monitoring facilities properly configured. Which scenario will go undetected in Hadoop? A. Map or reduce tasks that are stuck in an infinite loop. B. HDFS is almost full. C. The NameNode goes down. D. A DataNode is disconnectedfrom the cluster. E. MapReduce jobs that are causing excessive memory swaps. Which of the following utilities allows you to create and run MapReduce jobs with any executable or script as the mapper and/or the reducer? You need a distributed, scalable, data Store that allows you random, realtime read/write access to hundreds of terabytes of data. 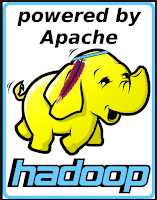 Which of the following would you use in Hadoop? Workflows expressed in Oozie can contain in Hadoop? A. Iterative repetition of MapReduce jobs until a desired answer or state is reached. B. Sequences of MapReduce and Pig jobs. These are limited to linear sequences of actions with exception handlers but no forks. C. Sequences of MapReduce jobs only; no Pig or Hive tasks or jobs. These MapReduce sequences can be combined with forks and path joins. D. Sequences of MapReduce and Pig. These sequences can be combined with other actions including forks, decision points, and path joins. You have an employee who is a Date Analyst and is very comfortable with SQL. He would like to run ad-hoc analysis on data in your HDFS duster. Which of the following is a data warehousing software built on top of Apache Hadoop that defines a simple SQL-like query language well-suited for this kind of user? Which of the following statements most accurately describes the relationship between MapReduce and Pig? A. Pig provides additional capabilities that allow certain types of data manipulation not possible with MapReduce. B. Pig provides no additional capabilities to MapReduce. Pig programs are executed as MapReduce jobs via the Pig interpreter. C. Pig programs rely on MapReduce but are extensible, allowing developers to do special-purpose processing not provided by MapReduce. D. Pig provides the additional capability of allowing you to control the flow of multiple MapReduce jobs. In a MapReduce job, you want each of you input files processed by a single map task. How do you configure a MapReduce job so that a single map task processes each input file regardless of how many blocks the input file occupies? A. Increase the parameter that controls minimum split size in the job configuration. B. Write a custom MapRunner that iterates over all key-value pairs in the entire file. C. Set the number of mappers equal to the number of input files you want to process. D. Write a custom FileInputFormat and override the method isSplittable to always return false. Which of the following best describes the workings of TextInputFormat in Hadoop? A. Input file splits may cross line breaks. A line thatcrosses tile splits is ignored. B. The input file is split exactly at the line breaks, so each Record Reader will read a series of complete lines. C. Input file splits may cross line breaks. A line that crosses file splits is read by the RecordReaders of both splits containing the brokenline. D. Input file splits may cross line breaks. A line that crosses file splits is read by the RecordReader of the split that contains the end of the brokenline. E. Input file splits may cross line breaks. A line that crosses file splits is read by the RecordReader of the split that contains the beginningof thebroken line. What is a SequenceFile in Hadoop? A. ASequenceFilecontains a binaryencoding ofan arbitrary numberof homogeneous writable objects. B. ASequenceFilecontains a binary encoding of an arbitrary number of heterogeneous writable objects. C. ASequenceFilecontains a binary encoding of an arbitrary number of WritableComparable objects, in sorted order. D. ASequenceFilecontains a binary encoding of an arbitrary number key-value pairs. Each key must be the same type. Each value must be sametype. Is there a map input format in Hadoop? A. Yes, but only in Hadoop 0.22+. B. Yes, there is a special format for map files. C. No, but sequence file input format can read map files. D. Both 2 and 3 are correct answers. What happens if mapper output does not match reducer input in Hadoop? A. Hadoop API will convert the data to the type that is needed by the reducer. B. Data input/output inconsistency cannot occur. A preliminary validation check is executed prior to the full execution of the job to ensure there is consistency. C. The java compiler will report an error during compilation but the job will complete with exceptions. D. A real-time exception will be thrown and map-reduce job will fail. Can you provide multiple input paths to a map-reduce jobs Hadoop? B. No, Hadoop always operates on one input directory. C. Yes, developers can add any number of input paths. D. Yes, but the limit is currently capped at 10 input paths. Can a custom type for data Map-Reduce processing be implemented in Hadoop? A. No, Hadoop does not provide techniques for custom datatypes. B. Yes, but only for mappers. C. Yes, custom data types can be implemented as long as they implement writable interface. D. Yes, but only for reducers. The Hadoop API uses basic Java types such as LongWritable, Text, IntWritable. They have almost the same features as default java classes. What are these writable data types optimized for? What is writable in Hadoop? A. Writable is a java interface that needs to be implemented for streaming data to remote servers. B. Writable is a java interface that needs to be implemented for HDFS writes. C. Writable is a java interface that needs to be implemented for MapReduce processing. What is the best performance one can expect from a Hadoop cluster? What is distributed cache in Hadoop? A. The distributed cache is special component on namenode that will cache frequently used data for faster client response. It is used during reduce step. B. The distributed cache is special component on datanode that will cache frequently used data for faster client response. It is used during map step. C. The distributed cache is a component that caches java objects. D. The distributed cache is a component that allows developers to deploy jars for Map-Reduce processing. Can you run Map - Reduce jobs directly on Avro data in Hadoop? D. Avro specifies metadata that allows easier data access. This data cannot be used as part of map-reduce execution, rather input specification only. 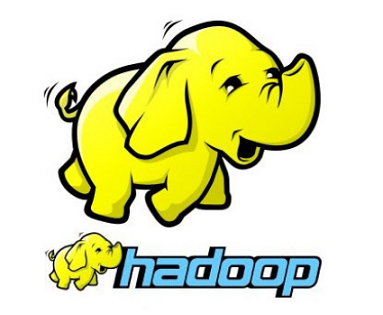 What is AVRO in Hadoop? Will settings using Java API overwrite values in configuration files in Hadoop? C. It depends when the developer reads the configuration file. If it is read first then no. D. Only global configuration settings are captured in configuration files on namenode. There are only a very few job parameters that can be set using Java API. Which is faster: Map-side join or Reduce-side join? Why? A. Both techniques have about the the same performance expectations. B. Reduce-side join because join operation is done on HDFS. C. Map-side join is faster because join operation is done in memory. D. Reduce-side join because it is executed on a the namenode which will have faster CPU and more memory. What are the common problems with map-side join in Hadoop? A. The most common problem with map-side joins is introducing a high level of code complexity. This complexity has several downsides: increased risk of bugs and performance degradation. Developers are cautioned to rarely use map-side joins. B. The most common problem with map-side joins is lack of the avaialble map slots since map-side joins require a lot of mappers. C. The most common problems with map-side joins are out of memory exceptions on slave nodes. D. The most common problem with map-side join is not clearly specifying primary index in the join. This can lead to very slow performance on large datasets. How can you overwrite the default input format in Hadoop? A. In order to overwrite default input format, the Hadoop administrator has to change default settings in config file. B. In order to overwrite default input format, a developer has to set new input format on job config before submitting the job to a cluster. C. The default input format is controlled by each individual mapper and each line needs to be parsed indivudually. What is the default input format in Hadoop? A. The default input format is xml. Developer can specify other input formats as appropriate if xml is not the correct input. B. There is no default input format. The input format always should be specified. C. The default input format is a sequence file format. The data needs to be preprocessed before using the default input format. D. The default input format is TextInputFormat with byte offset as a key and entire line as a value. Why would a developer create a map-reduce without the reduce step Hadoop? A. Developers should design Map-Reduce jobs without reducers only if no reduce slots are available on the cluster. B. Developers should never design Map-Reduce jobs without reducers. An error will occur upon compile. C. There is a CPU intensive step that occurs between the map and reduce steps. Disabling the reduce step speeds up data processing. D. It is not possible to create a map-reduce job without at least one reduce step. A developer may decide to limit to one reducer for debugging purposes. How can you disable the reduce step in Hadoop? A. The Hadoop administrator has to set the number of the reducer slot to zero on all slave nodes. This will disable the reduce step. B. It is imposible to disable the reduce step since it is critical part of the Mep-Reduce abstraction. C. A developer can always set the number of the reducers to zero. That will completely disable the reduce step. D. While you cannot completely disable reducers you can set output to one. There needs to be at least one reduce step in Map-Reduce abstraction. D. PIG is the third most popular form of meat in the US behind poultry and beef. What is reduce - side join in Hadoop? C. Reduce-side join is a set of API to merge data from different sources. What is map - side join in Hadoop? How can you use binary data in MapReduce in Hadoop? A. Binary data can be used directly by a map-reduce job. Often binary data is added to a sequence file. B. Binary data cannot be used by Hadoop fremework. Binary data should be converted to a Hadoop compatible format prior to loading. C. Binary can be used in map-reduce only with very limited functionlity. It cannot be used as a key for example. What are map files and why are they important in Hadoop? A. Map files are stored on the namenode and capture the metadata for all blocks on a particular rack. This is how Hadoop is "rack aware"
B. Map files are the files that show how the data is distributed in the Hadoop cluster. D. Map files are sorted sequence files that also have an index. The index allows fast data look up. What are sequence files and why are they important in Hadoop? How many states does Writable interface defines ___ in Hadoop? 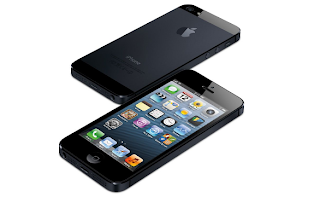 iPhone is a combination of internet and multimedia enabled smart phone developed by Apple Inc. It has user interface that is built around the multi-touch screen including virtual keyboard. 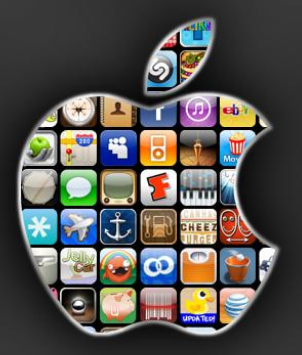 App Store , which launched in the mid 2008 has over 1,00,000 applications with functionalities including games, references, GPS navigation, advertising, television shows, films, reference, celebrities. 2.What is an iPhone app? An iPhone app is a program that runs on our iPhone/iPod Touch. It enables us to accomplish a certain task. They could be utility apps, games, enterprise apps, entertainment apps, apps to access our bank account etc. 3. Introduction to I phone application Development? In 2007, Apple entered the cellular phone business with the introduction of the iPhone, a multi-touch display cell phone, which also includes the features of iPod. 4. Multitasking support is available from which version? 5. How many bytes we can send to apple push notification server.? 6. What are the features of iPhone 3gs? Video: Videos can be edited, shared. High quality VGA video can be shot in portrait or landscape. Voice control: It recognizes the names in contacts and recognizes the music on iPod. Compass: iPhone 3GS has built-in digital compass, used to point the way. 7. Why iPhone apps are popular? Give our business a whole new way of transacting business for millions of users. IPhones are the market leaders in the smart phone segment. The iPhone has become a great device to surf the internet, play games, interact with social networks and transact business. 8. Where can you test Apple iPhone apps if you don’t have the device? iOS Simulator can be used to test mobile applications. Xcode tool that comes along with iOS SDK includes Xcode IDE as well as the iOS Simulator. Xcode also includes all required tools and frameworks for building iOS apps. However, it is strongly recommended to test the app on the real device before publishing it. 9. Does iOS support multitasking? iOS 4 and above supports multi-tasking and allows apps to remain in the background until they are launched again or until they are terminated. 10. Which JSON framework is supported by iOS? SBJson framework is supported by iOS. It is a JSON parser and generator for Objective-C. SBJson provides flexible APIs and additional control that makes JSON handling easier. 11. What is iPhone OS? iPhone OS runs on iPhone and iPod touch devices. Hardware devices are managed by iPhone OS and provides the technologies needed for implementing native applications on the phone. The OS ships with several system applications such as Mail, Safari, Phone, which provide standard services to the user. 12. Difference between shallow copy and deep copy? Shallow copy is also known as address copy. In this process you only copy address not actual data while in deep copy you copy data. Suppose there are two objects A and B. A is pointing to a different array while B is pointing to different array. Now what I will do is following to do shallow copy. Now B is pointing is at same location where A pointer is pointing.Both A and B in this case sharing same data. if change is made both will get altered value of data.Advantage is that coping process is very fast and is independent of size of array. while in deep copy data is also copied. This process is slow but Both A and B have their own copies and changes made to any copy, other will copy will not be affected. 13. What are the requirements for developing iPhone Apps? Mac OS 10.5/10.6 iPhone SDK (Software Development Kit 3.0/4.0). Simulator This is used to test our apps before deploying into real device. 14. What are the popular apps of iPhone? 15. What is iPhone reference library? 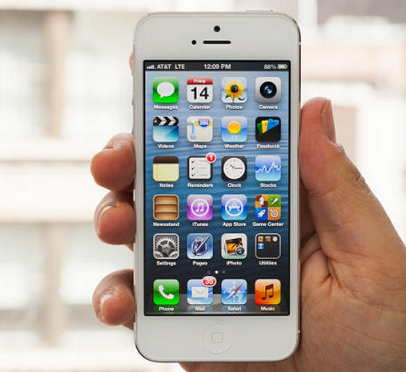 iPhone reference library is a set of reference documents for iPhone OS. It can be downloaded by subscribing to the iPhone OS Library doc set. Select Help>Documentation from X code, and click the subscribe button next to the iPhone OS Library doc set, which appears in the left column. 16. What is iPhone sdk? iPhone SDK is available with tools and interfaces needed for developing, installing and running custom native applications. Native applications are built using the iPhone OS’s system frameworks and Objective-C language and run directly on iPhone OS. Native applications are installed physically on a device and can run in presence or absence of network connection. The user created applications never interact directly with the appropriate drivers, which protects the user applications from changes to the hardware. 18.What are the location services? Applications such as Maps, camera and compass are allowed to use the information from cellular, Wi-Fi and Global Positioning System networks for determining the approximate locations. The location is displayed on the screen, using a blue marker. 19.Describe the functionality of accelerometer of an iPhone ? iPhone responds to motion using a built-in accelerometer. The accelerometer detects the movement and changes the display accordingly, at the time of rotating iPhone from portrait to landscape. 20.Name the application thread from where UIKit classes should be used? UIKit classes should be used only from an application’s main thread. Note: The derived classes of UIResponder and the classes which manipulate application’s user interface should be used from application’s main thread. 21.Which API is used to write test scripts that help in exercising the application’s user interface elements? 22.Explain about the applications that can be used with iPhone ? Technology, Entertainment and Design (TED): Allows to watch and listen to world’s most fascinating people have to say, all on the iPhone. 23.What are the tools required to develop iOS applications? iOS development requires Intel-based Macintosh computer and iOS SDK. 24.Name the framework that is used to construct application’s user interface for iOS. The UIKit framework is used to develop application’s user interface for iOS. UIKit framework provides event handling, drawing model, windows, views, and controls specifically designed for a touch screen interface. 25.What is iPhone reference library? iPhone reference library is a set of reference documents for iPhone OS. It can be downloaded by subscribing to the iPhone OS Library doc set. Select Help>Documentation from X code, and click the subscribe button next to the iPhone OS Library doc set, which appears in the left column. 26.What are sensors in iPhone? The proximity sensor immediately turns off the display when the iPhone is lifted to ear. With this sensor the power is saved and accidental dialing is prevented. The display is automatically brightens the iPhone by the ambient light sensor when the sunlight or bright rooms and dims in darker places. 27.How can an operating system improve battery life while running an app? An app is notified whenever the operating system moves the apps between foreground and background. The operating system improves battery life while it bounds what your app can do in the background. This also improves the user experience with foreground app. 28.Why an app on iOS device behaves differently when running in foreground than in background? An application behaves differently when running in foreground than in background because of the limitation of resources on iOS devices. 29.Which framework delivers event to custom object when app is in foreground? The UIKit infrastructure takes care of delivering events to custom objects. As an app developer, you have to override methods in the appropriate objects to process those events. 30.When an app is said to be in not running state? it gets terminated by the system during running. 31.Assume that your app is running in the foreground but is currently not receiving events. In which sate it would be in? An app will be in InActive state if it is running in the foreground but is currently not receiving events. An app stays in InActive state only briefly as it transitions to a different state. 32.How can you respond to state transitions on your app? On state transitions can be responded to state changes in an appropriate way by calling corresponding methods on app’s delegate object. applicationDidBecomeActive method can be used to prepare to run as the foreground app. applicationDidEnterBackground method can be used to execute some code when app is running in the background and may be suspended at any time. applicationWillTerminate method is called when your app is being terminated. 33.List down app’s state transitions when it gets launched. Before the launch of an app, it is said to be in not running state. When an app is launched, it moves to the active or background state, after transitioning briefly through the inactive state. 34.Who calls the main function of you app during the app launch cycle? During app launching, the system creates a main thread for the app and calls the app’s main function on that main thread. The Xcode project’s default main function hands over control to the UIKit framework, which takes care of initializing the app before it is run. 35.Give example scenarios when an application goes into InActive state? An app can get into InActive state when the user locks the screen or the system prompts the user to respond to some event e.g. SMS message, incoming call etc. 36.When an app is said to be in active state? An app is said to be in active state when it is running in foreground and is receiving events. 37.Name the app sate which it reaches briefly on its way to being suspended. An app enters background state briefly on its way to being suspended. 38.Assume that an app is not in foreground but is still executing code. In which state will it be in? 39.An app is loaded into memory but is not executing any code. In which state will it be in? An app is said to be in suspended state when it is still in memory but is not executing any code. 40.Assume that system is running low on memory. What can system do for suspended apps? In case system is running low on memory, the system may purge suspended apps without notice. 41.What is the use of controller object UIApplication? Controller object UIApplication is used without subclassing to manage the application event loop. It coordinates other high-level app behaviors. It works along with the app delegate object which contains app-level logic. 42.How is the app delegate is declared by Xcode project templates? App delegate is declared as a subclass of UIResponder by Xcode project templates. 43.What happens if IApplication object does not handle an event? In such case the event will be dispatched to your app delegate for processing. 44.Which app specific objects store the app’s content? Data model objects are app specific objects and store app’s content. Apps can also use document objects to manage some or all of their data model objects. 45.Are document objects required for an application? What does they offer? Document objects are not required but are very useful in grouping data that belongs in a single file or file package. 46.How do you change the content of your app in order to change the views displayed in the corresponding window? To change the content of your app, you use a view controller to change the views displayed in the corresponding window. Remember, window itself is never replaced. Views along with controls are used to provide visual representation of the app content. View is an object that draws content in a designated rectangular area and it responds to events within that area. 48.You wish to define your custom view. Which class will be subclassed? Custom views can be defined by subclassing UIView. 49.Which object is create by UIApplicationMain function at app launch time? The app delegate object is created by UIApplicationMain function at app launch time. The app delegate object’s main job is to handle state transitions within the app. 50.Which object manage the presentation of app’s content on the screen? View controller objects takes care of the presentation of app’s content on the screen. A view controller is used to manage a single view along with the collection of subviews. It makes its views visible by installing them in the app’s window. 51.Which is the super class of all view controller objects? UIViewController class. The functionality for loading views, presenting them, rotating them in response to device rotations, and several other standard system behaviors are provided by UIViewController class. 52.What is the purpose of UIWindow object? The presentation of one or more views on a screen is coordinated by UIWindow object. 53.Apart from incorporating views and controls, what else an app can incorporate? Apart from incorporating views and controls, an app can also incorporate Core Animation layers into its view and control hierarchies. 54.What are layer objects and what do they represent? Layer objects are data objects which represent visual content. Layer objects are used by views to render their content. Custom layer objects can also be added to the interface to implement complex animations and other types of sophisticated visual effects. 55.Difference between categories and extensions? Class extensions are similar to categories. The main difference is that with an extension, the compiler will expect you to implement the methods within your main @implementation, whereas with a category you have a separate @implementation block. So you should pretty much only use an extension at the top of your main .m file (the only place you should care about ivars, incidentally) — it’s meant to be just that, an extension. 56.What are KVO and KVC? KVC: Normally instance variables are accessed through properties or accessors but KVC gives another way to access variables in form of strings. In this way your class acts like a dictionary and your property name for example “age” becomes key and value that property holds becomes value for that key. For example, you have employee class with name property. KVO : The mechanism through which objects are notified when there is change in any of property is called KVO. 57.What is difference between NSNotification and delegate? Delegate is passing message from one object to other object. It is like one to one communication while nsnotification is like passing message to multiple objects at the same time. All other objects that have subscribed to that notification or acting observers to that notification can or can’t respond to that event. Notifications are easier but you can get into trouble by using those like bad architecture. Delegates are more frequently used and are used with help of protocols. Imagine, you are looking for a job. You go to software company daily and ask sir “is there any job for me” and they keep on saying no. Your time and money is wasted on each trip. (Pull Request mechanism). So, one day owner says, if there is any suitable job for you, I will let you know. In this mechanism, your time and money is not wasted. (Push Mechanism). 59.What is Automatic Reference Counting (ARC) ? ARC is a compiler-level feature that simplifies the process of managing the lifetimes of Objective C objects. Instead of you having to remember when to retain or release an object, ARC evaluates the lifetime requirements of your objects and automatically inserts the appropriate method calls at compile time. This is very famous question and every interviewer asks this. Few people say polymorphism means multiple forms and they start giving example of draw function which is right to some extent but interviewer is looking for more detailed answer. Ability of base class pointer to call function from derived class at runtime is called polymorphism. A struct is a special C data type that encapsulates other pieces of data into a single cohesive unit. Like an object, but built into C.
63.Whats the difference between frame and bounds? The frame of a view is the rectangle, expressed as a location (x,y) and size (width,height) relative to the superview it is contained within. The bounds of a view is the rectangle, expressed as a location (x,y) and size (width,height) relative to its own coordinate system (0,0). Hyper Text Markup Language (HTML) is the main markup language for creating web pages and additional information with the aim of can be displayed in a web browser. HTML is written in the form of HTML elements consisting of tags enclosed in angle brackets (like <html>), inside the web page content. HTML tags the majority commonly come in pairs like <h1> and </h1>, even though some tags, well-known as empty elements, are unpaired, for example <img>. The first tag in a two of a kind is the start tag, and the second tag is the end tag (they are also called opening tags and closing tags). In sandwiched between these tags web designers can add text, tags, explanation and extra types of text-based content. The principle of a web browser is to read HTML documents and compose them into visible or audible web pages. The browser does not display the HTML tags, but uses the tags to interpret the content of the page. The language which is used for describing web pages is known as HTML. • The abbreviation of HTML is Hyper Text Markup Language. • HTML is a markup language but not a programming language. • A set of mark up tags is known as markup language. • To describe web pages, markup tags are used by HTML. 2. Differentiate HTML and HTML Extension? The extension which is used for saving HTML file is .html or .htm. In our example .htm is used. It is a past habit when only three letters are allowed for the software in file extensions. In the new versions of software, we can perfectly use .html extension. Browser is told what to do by the tags in the HTML language. While writing an HTML page, the tags are entered for many reasons such as to show graphic, to change the text appearance or to link to other page. In the HTML language, HTML tag is a syntactical construct that abbreviates particular instruction to be executed when the web browser loads HTML script. It is like a function in C++, method in Java, routine in FORTRAN or a procedure in Pascal. The special tag linking one page to other resource or a page is known as hypertext link. If you click the link then the browser jumps to the destination link. 6. Differentiate HTML form methods GET and POST? Which method is used by the client to send information to web server is specified by the method parameter. 7. How an index document is defined? Many times we use index.htm document as it is standard for host-server to look and deploy document. It is the default document which is displayed on the web. 8. How a HEAD is defined in HTML? In HTML, HEAD is placed before body and it is used to show general information or unordered collection about HTML document. In HTML, it is the first tag which helps to give title for the page. 9. How a body is defined in HTML 5? In HTML, body specifies all the contents in the document and it contains colors, images, text, graphics, etc. 10. How to keep sound for older version internet explorer? is the technique used for older versions of internet explorers. 11. Can HTML is used in box? Yes. Any HTML tag that is supported by the browser works in the box. In object oriented programming polymorphism is nothing but objects ability to take form objects of different classes. 13. Differentiate component and container? Component is an object like a scroll bar or button that is visually presented on screen window whereas a container is window-like component which has different components. Each component has unique container that contains it directly. 14. Differentiate constructor and method? The member function of a class which is used for creating objects of that particular class is known as a constructor. It has the same name of a class without any return type. New operator is used to invoke it. An ordinary member function of a class is known as a method. It has a return type with its own name. Dot operator is used to invoke it. 15. What are the different graphic types? 16. Define Gradient and how to apply it? Mixing two or more colors are known as Gradient. It is used for creating interactive and dynamic web pages. 18. What is the difference between HTML and DHTML? • The full form of HTML is hyper text markup language. • HTML is a markup language but not programming. • It does not allow any features. • HTML documents describe web pages which include HTML tags and plain text. • The full form of DHTML is dynamic hyper text markup language. • Few extra features are permitted by DHTML. • DHTML sites are going fast on the client based technologies. • The abbreviation of XML is extensible markup language. • To store and transport data, XML is used. The abbreviation of CSS is Cascading Style Sheets. To solve problem, styles are added to HTML 4.0 and these styles define how the HTML elements are showed. Lot of work is saved by External Style Sheets and is stored in CSS files. The new standard for HTML, HTML DOM and XHTML is HTML5. 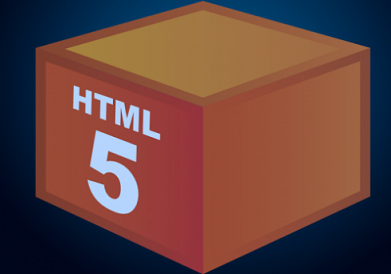 HTML5 is work in progress and the modern browsers have support to HTML5. 22. Does HTML is case sensitive? No, it is not case sensitive. 23. What are the advantages of HTML? • HTML is the widely used language. • Almost all the browsers support HTML. • HTML is very simple and usage, learning is easy. • You need not purchase additional software as it is in windows by default. • The syntax of HTML and XML is similar and XML is widely used for storing data. • Even the beginners feel easy to code the program. 24. What are the disadvantages of HTML? • HTML is used to develop plain and static pages. HTML suits perfectly when dynamic pages are required. • A lengthy code is written to create a simple HTML page. • The security features are not good in HTML. • If you write a length code to develop web pages then the code may result in complexity. oracle soa training in hyderabad,oracle soa training,oracle soa training institutes in Hyderabad oracle soa training course,oracle soa training india,oracle soa 11g training,oracle soa 11g online training,oracle soa training online,oracle soa online training,oracle soa training,oracle soa 11g training Hyderabad..
Oracle SOA Suite simplifies connectivity by given that a unified experience to integrate across cloud, on-premise, and business-to-business. Extra components integrated within the unified platform are the enterprise service bus like the foundation for shared services, process orchestration for business optimization, event processing for practical pattern discovery, business rules used for business agility, and business activity monitoring to transport role-based business visibility. Simple Object Access Protocol (SOAP)-based Web services are appropriates the majority common implementation of SOA. 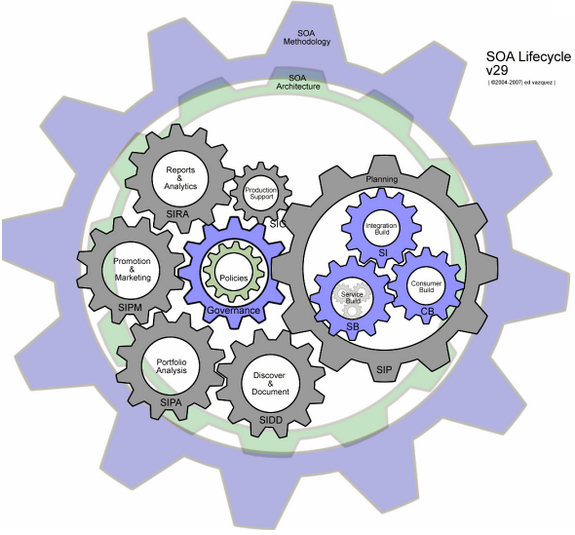 There are non-Web services implementations of SOA to facilitate provide similar benefits. The protocol self-determination of SOA means that different customers can communicate through the service in different ways. Ideally, there must be a management layer between the providers and consumers to make sure whole flexibility regarding implementation protocols. 4. Web Services- Used as the mode of communication in SOA. Also called as WSDL. Difference between Sync anc Async BPEL Process. Email Notification: Configuration of an email activity to send alert mails to the clients. c. Cross upload on Cloud. 4. Adding BAM Sensors to BPEL Process. Phone NO’s: 9440 7440 79, 98488 09912.